The latest addition to Yamaha’s game-changing V MAX SHO family allows boaters who require a 25-inch shaft to enjoy the benefits of this high-performance series. And it’s every bit a V MAX SHO — compact, lightweight and capable of performance typically associated with two strokes — but with the convenience and quiet operation of a four stroke. The 1.8-litre V MAX SHO 115 X-Shaft features Yamaha’s advanced 16-valve double-overhead cam (DOHC) four-cylinder design, which means better breathing for better performance. Sixteen valves also mean more power and midrange torque. They are fed by a large single throttle body with Yamaha’s long-track intake system and a free-flow exhaust. Weighing in at just 386 pounds, the four-stroke V MAX SHO 115 X-Shaft uses a lightweight composite lower pan and cowling, a single-ram power trim and tilt mechanism, and a lightweight mounting bracket. It has the added benefit of not needing two-stroke oil or an oil tank – or the added weight. The V MAX SHO 115 X-Shaft is compatible with Yamaha’s variable trolling switch (VTS), which allows anglers to adjust the trolling speed in 50 RPM increments from 600 to 1000 RPM using a Yamaha Command Link® gauge. Inline designs with 16-valve, double overhead cams and four valves per cylinder maximize power in minimal space and eliminate rocker arms and their adjustments for increased reliability. 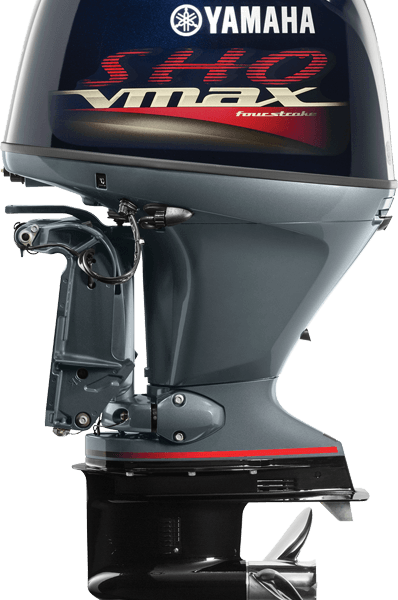 In-line Four Stroke designs are up to 40% more fuel-efficient than traditional carbureted two strokes. Precision Multi-Point Electronic Fuel Injection is managed by the Engine Control Module, which continually adjusts the fuel/air mix to match engine load and speed. Remember, this is a four stroke, so it’s quiet by nature. On top of that, Yamaha has harmonized all the inertial mass components and added large rubber engine mounts. The result is smoothness and quiet that will impress. 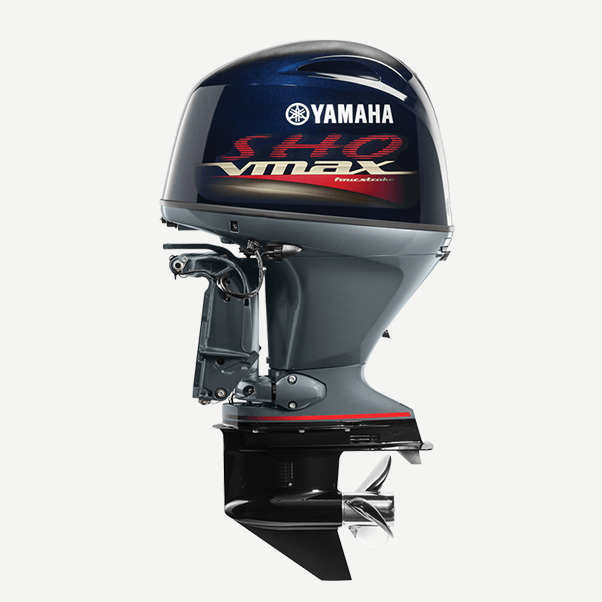 The V MAX SHO 115 X-Shaft uses Yamaha’s Phaze FiveTM paint system, which includes the electro-deposition of anti-corrosive paint on both the inside and outside passages of the engine block. 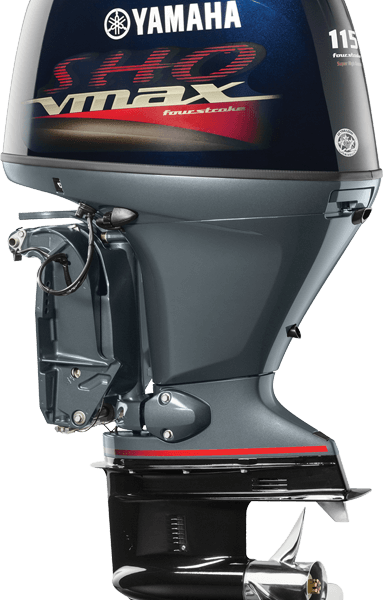 From hole shot to wide-open throttle, the power trim and tilt on Yamaha V MAX SHO® In-Line Fours adjusts the thrust angle of your outboard for maximum performance. 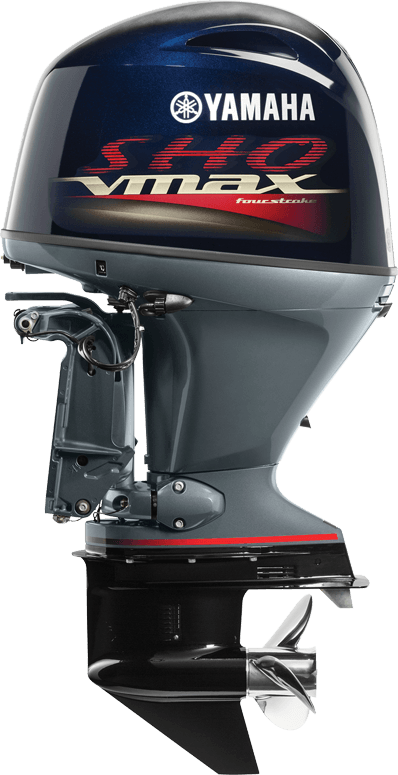 Inline Four Stroke V MAX SHO® outboards feature mechanical controls for easy, convenient rigging with most bass, bay and flats boats, and are compatible with analog, 6Y5 digital or Command Link® gauges.